When I was in Taiwan (learning Mandarin to learn about learning Japanese… and attending a friend's wedding) we took an off-day to visit Jiufen, the town that inspired the town and bathhouse in one of Miyazaki's greatest films: Spirited Away. It's been a really long time since I've seen this film so my memory of it was pretty shaky. Still, I found myself being reminded of the film by going to the real place (Jiufen), which really shows how much inspiration was drawn from here. Miyazaki was even rumored to have visited the Grand Teahouse (we'll get to that in a moment), a place where authors, poets and artists would come to work… and I can see why. It's a great environment for inspiration. Before we get into Jiufen and Spirited Away, though, let's look at the history of this little Taiwanese town. It has had an interesting one, much of which is actually Japanese related, and will set the table for the comparison between the place and the film later in this article. In 1895, Taiwan became Japan's first colony, so Japan wanted to try to show off to the rest of the world that they could do the whole normally-Western-but-not-this-time imperialism sort of thing. They decided to make Taiwan a "model" colony for all their future colonies, so much effort and money was put into building up Taiwan's infrastructure, industry, standard of living, and economy. They also made a big effort to change the culture and get everyone speaking Japanese. In fact, to this day elderly Taiwanese people still speak Japanese fluently, as that's what they grew up speaking. I spent a good amount of time talking to one elderly Taiwanese person (in Japanese) and she was certainly a wealth of "Japanese Era" information… maybe more on that in another post. 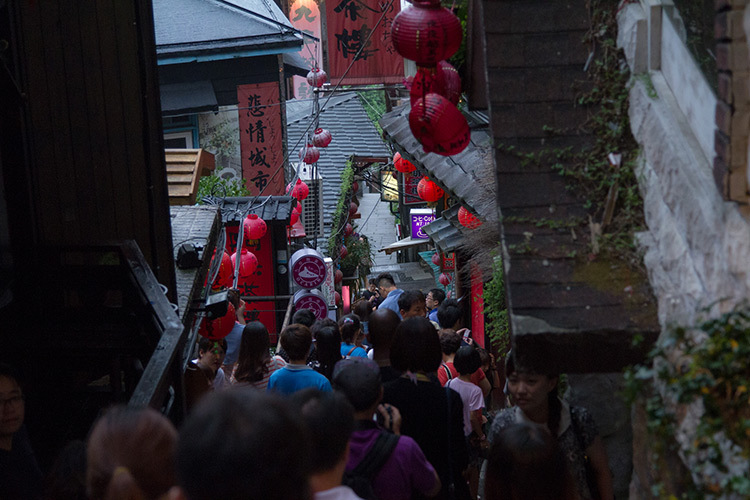 While the story of Jiufen, its gold rush, its POW gold miners, and its rise to tourist popularity has nothing to do with the actual story of Spirited Away, many parts of the film do tear off some huge Jiufen chunks as inspiration for the characters and places that Miyazaki created. Unfortunately, having not seen the film recently, I was relying on some pretty shaky memories, so below are some pictures that I took as well as some pictures others took (these are the ones with a citation). 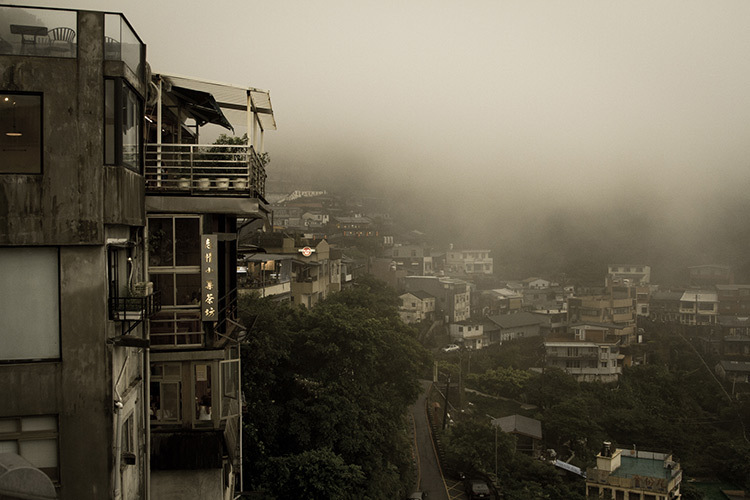 I've broken it up into sections too, to help you to see exactly what parts of Jiufen made it into the film. 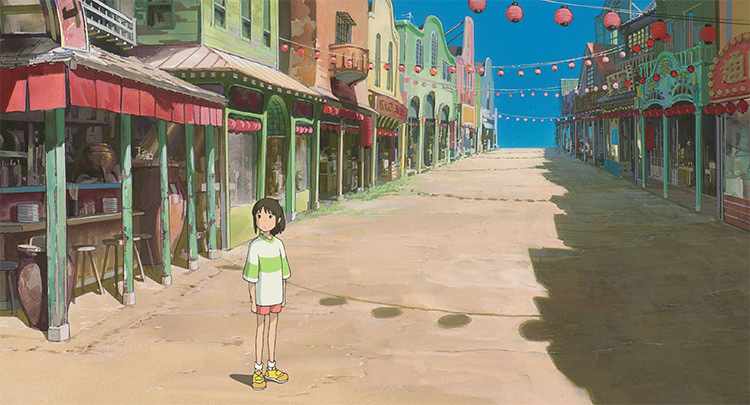 Hopefully someday you can visit this place too and be able to say "hey, wait, that was in Spirited Away!" 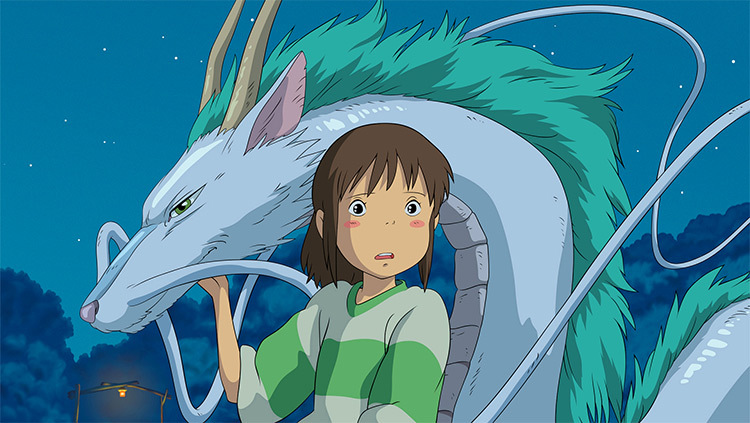 The dragon Haku was an important part of the film. This much I remembered. 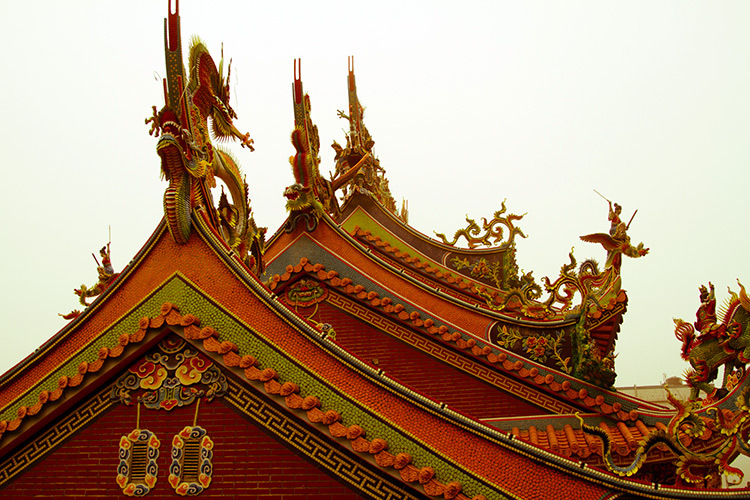 While this is true for much of Taiwan and not just Jiufen, there were dragons on top of the temple right when you get off the bus. This alone is hardly enough to convince anyone that Jiufen was the inspiration for the places in Spirited Away, it's a start. Let's move on to something more connecty: FOOOOD. 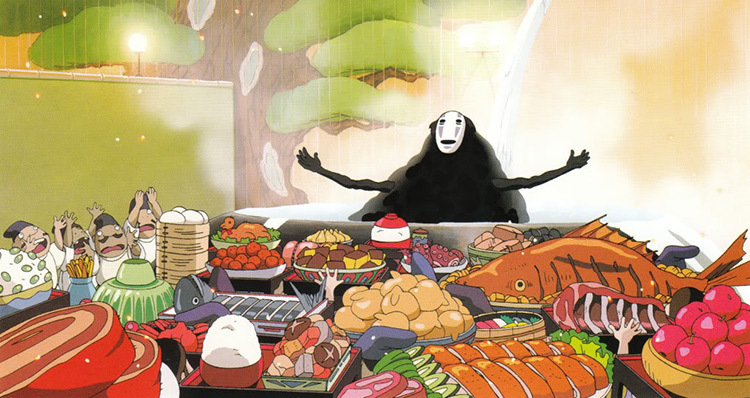 The spirits in the film ate tons of food (you know that from Fiona's post about the foods of Spirited Away). The girl's parents ate tons of food (and turned into delicious pigs). 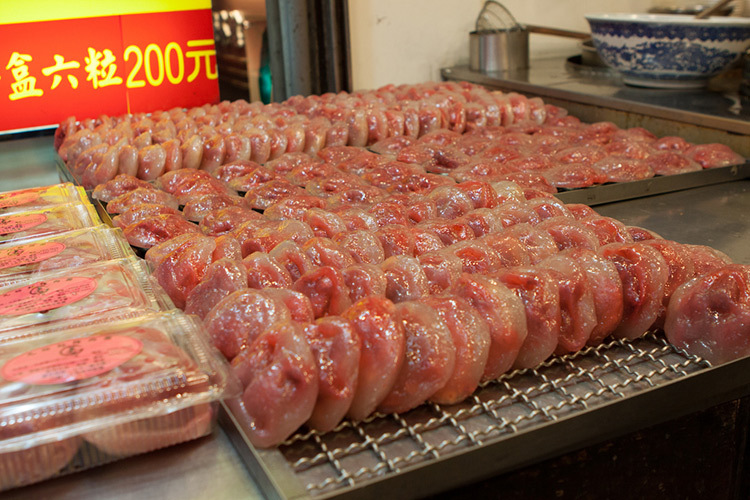 Food was a huge part of the film and Jiufen had plenty of it. Lining the streets were many stalls, and I'd say more than half of them centered around something you could consume. 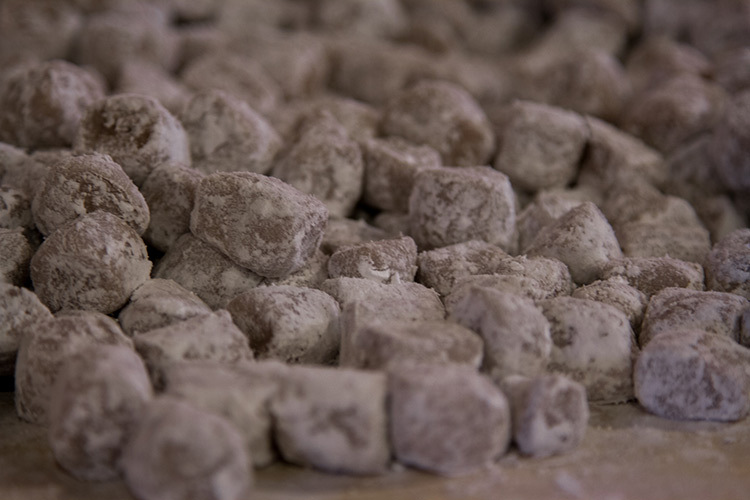 Certainly one of the main attractions of this place is the things that can be devoured. Suffice to say, the variety and uniqueness of the food could have easily been a small inspiration for Miyazaki in making this film. While I don't think I saw any of the more unique Jiufen foods in Spirited Away (or in any pictures of Spirited Away), both places had numerous food stalls, food, and people/spirits eating the food. The vibe of the food stalls and the people eating the food was similar as well. Delicious. The architecture and street layouts of both Jiufen and Spirited Away are quite unique yet quite similar. Jiufen has the whole Japanese but not Japanese thing going for it, due to the occupation period. 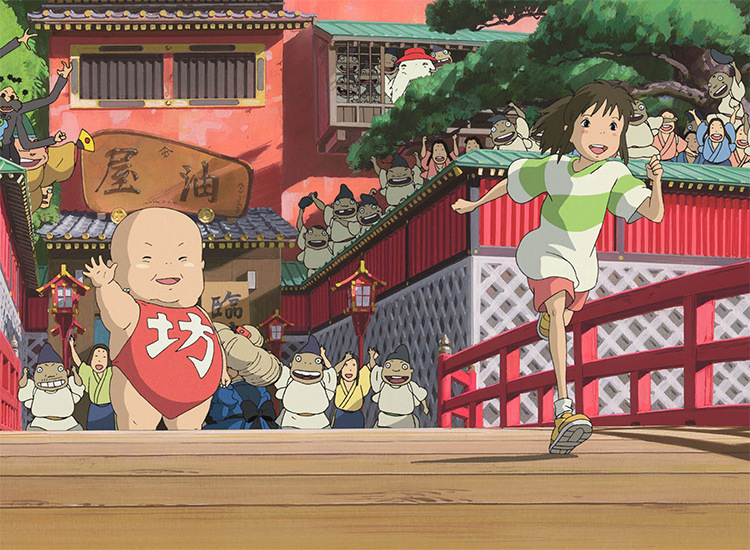 Spirited Away has the Japanese but somewhat other-worldy thing going for it due to the other-worldliness of it. Not too far off from each other, I'd say. Another notable similarity is all the red lanterns. Both Jiufen and Spirited Away are teaming with them. Just the amount you see in both the film and real place is enough to convince me that Miyazaki was here and taking notes. If that's not enough for you, all you have to do is look at the winding roads and long staircases featured in both places. Jiufen seriously had way too many stairs, but it made for a very unique looking place. 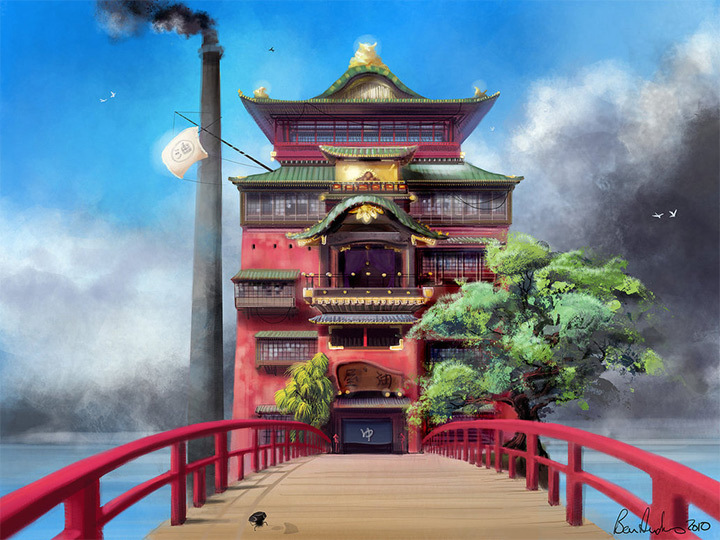 I seem to remember stairs being a common occurrence in Spirited Away, as well. Up the stairs down the stairs, stairs in the background, egg and stair, bacon and stair egg, bacon, sausage and stairs with eggs, stairs stairs stairs stairs. Illustration by Ben Andrews Another thing I noticed were the tunnels all throughout Jiufen. It was a mining community for most of its recent history, so it's only natural that there be tunnels. 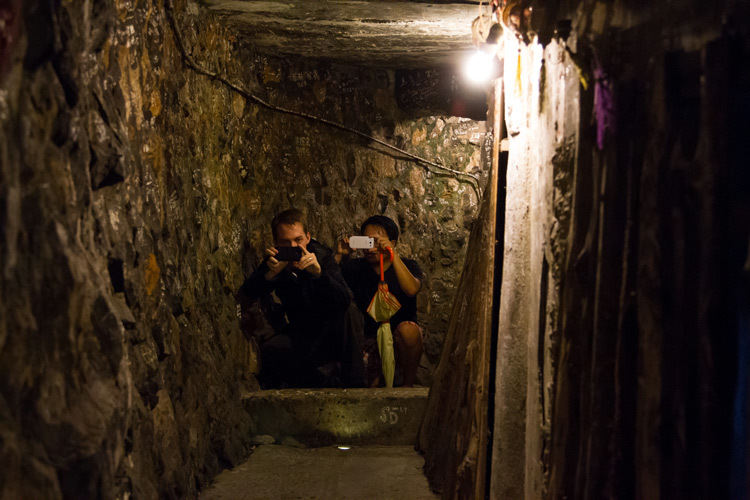 One thing that surprised me were the tunnels that you could go through in Jiufen. They'd lead you to new areas of the town, almost magically. One tunnel we went through (pictured below) took us out to a tea house and beautiful view. You don't expect that kind of thing when you get into small, scary tunnels. Viet certainly wins this "More Meta Than You" photo contest. The surprise and magic of coming out of a tunnel and into a newish world (in Jiufen) felt really reminiscent of the beginning of Spirited Away when Chihiro and her parents go through the tunnel and into the town. Luckily, on the other side of our tunnel all we had was a tea house, run by ordinary people. I believe there were other tunnels in the film as well, though someone will have to remind me since it's been a while. The tunnel up above supposedly has a tunnel in Jiufen that's more similar to it, but I didn't find it in my journey. 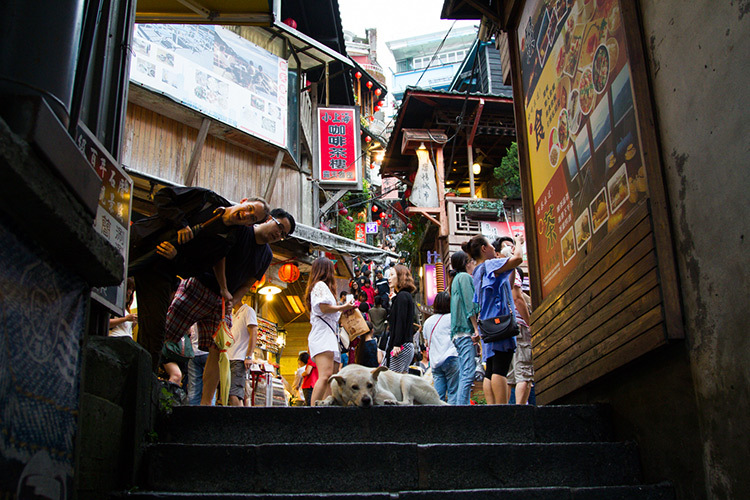 Anyways, Jiufen had tunnels galore, and it rewarded discovery and exploration, making the place feel more magical. When you go through one, who knows where you'll end up! Dun dun dunnn. 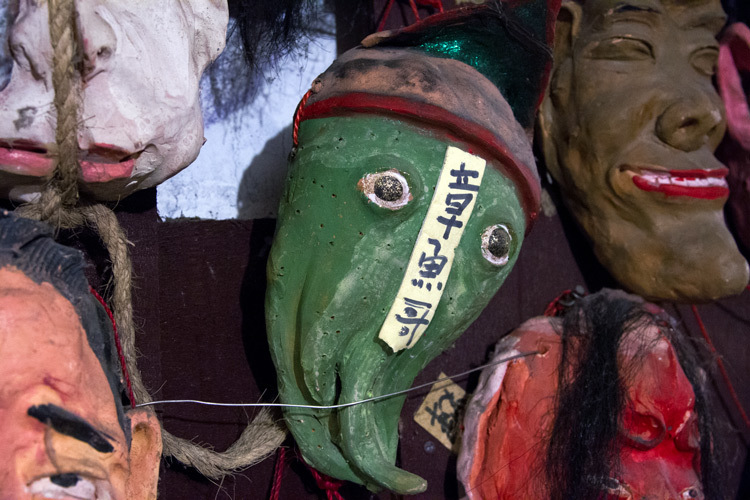 Of course, Spirited Away was filled with interesting characters… that being said, I couldn't stop getting the impression as I walked through Jiufen that the real place had just as many odd people/spirits. Usually in Taiwan you don't see this many odd people gathered all in one place. 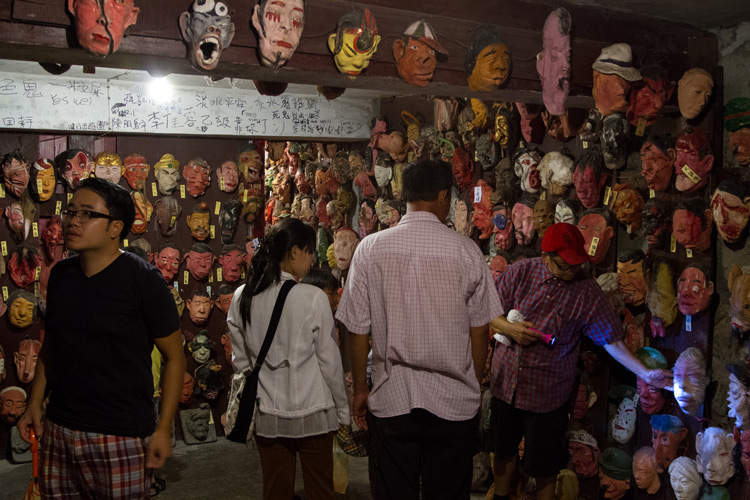 In Jiufen, these kinds of folks were a dime-a-dozen. 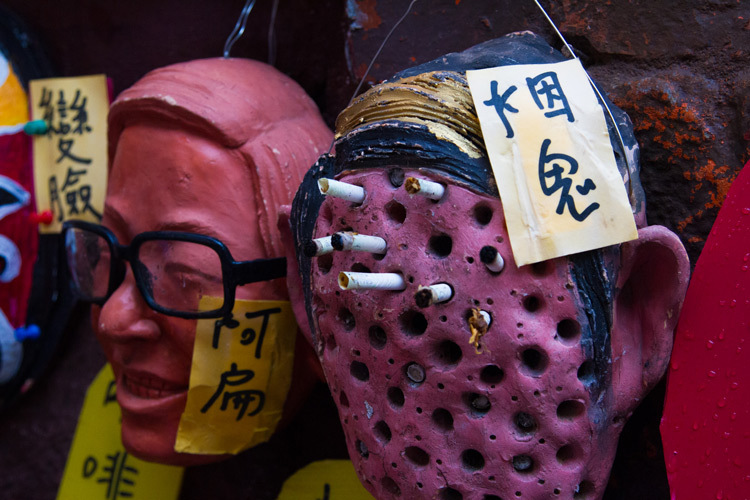 This isn't a bad thing – I think weird is great (where's my "Keep Jiufen Weird" bumper sticker?) 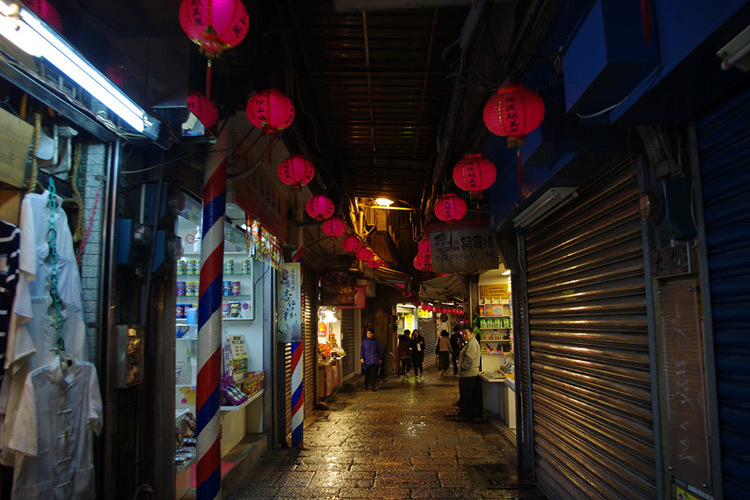 – what's interesting to me is that there's potential that some inspiration for Spirited Away could have come from Jiufen. 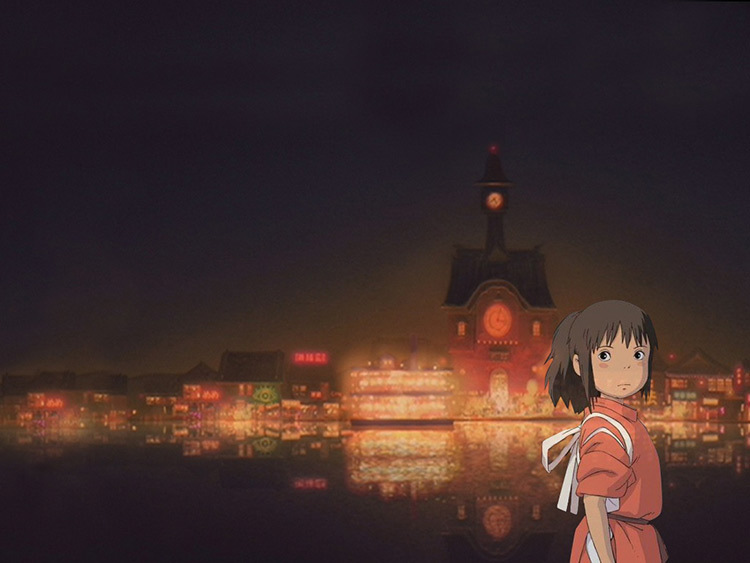 Most people just mention the streets and architecture when making the Spirited Away / Jiufen comparison, but I think I'm onto something here. Take a look at this guy, for example. 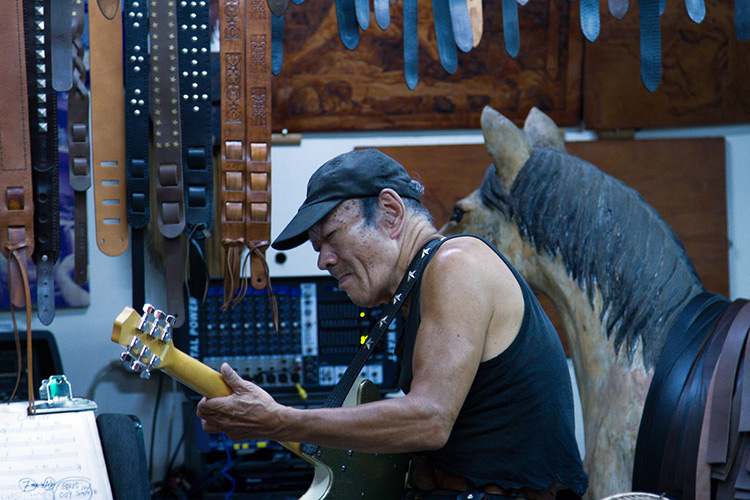 He runs a leather shop in the middle of Jiufen, but he's just in the back rocking out on his electric guitar, never selling any leather. I was the only one who stood there to watch, then clapped a bit at the end. He seemed a bit surprised by that, so I quickly moved on. Anyways, he's a little bit odd, all things considered. It gets more interesting, though. Maybe in twenty or thirty years? Haku does not age well. 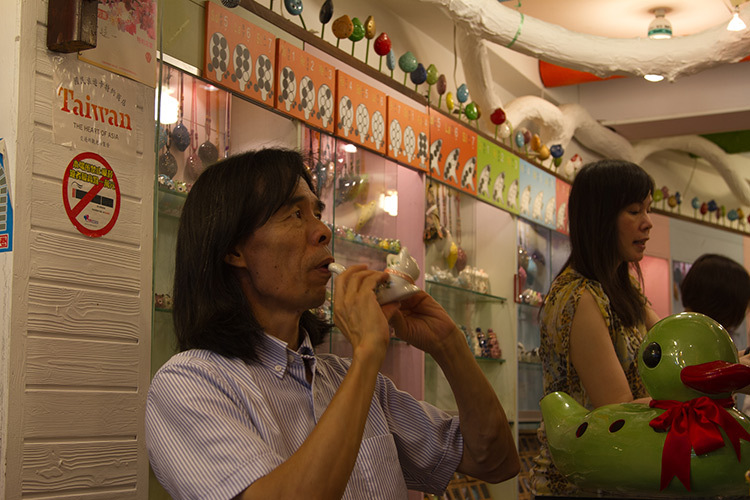 Apparently, and you can see them in the background in the ocarina guy's picture, he has some ocarinas that have a resemblance to No Face in the film. 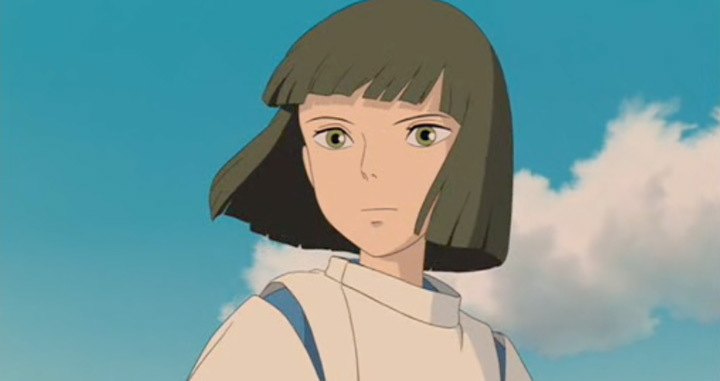 I'll let you decide on that one, but perhaps this real-life character made a fairly big impact on Miyazaki? The last guy I'm going to show you was the most direct correlation between the characters of Jiufen and the characters of Spirited Away. 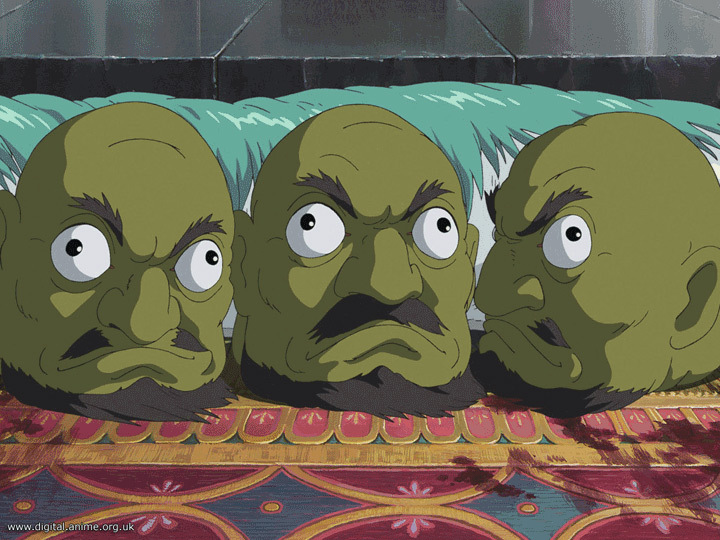 I have no clue if he was around when Miyazaki was here, so perhaps I'm just throwing this out there, but do you remember the three heads that rolled around in the movie? These guys right here? 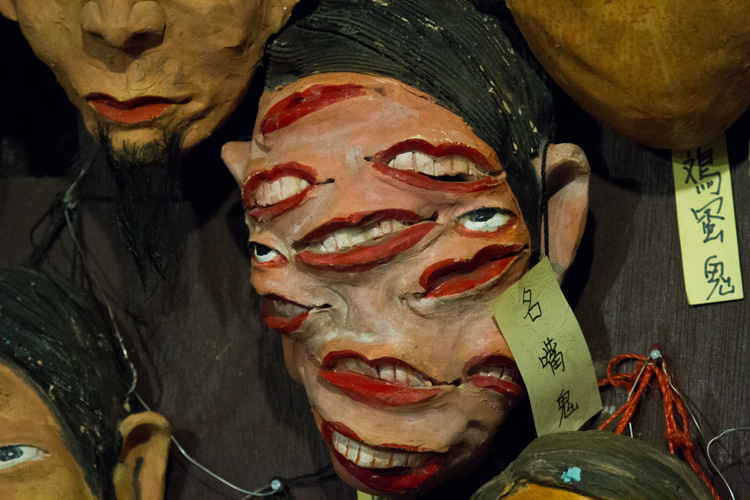 Well, there was a mask exhibit, which was basically a place where this one dude who makes a ton of crazy masks/heads/busts displays his art. They immediately reminded me of this part of the film, just because they were unattached heads like the masks/busts that this guy made. 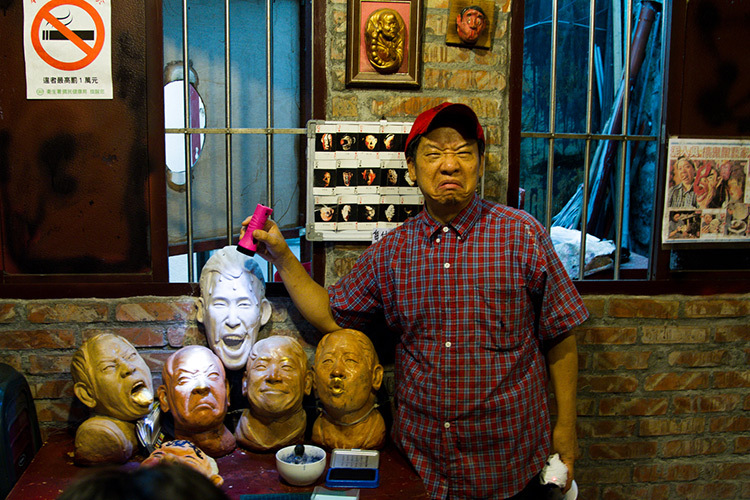 Here he is in all his glory with a bust of… himself making a face. Actually, he made all the faces for us, but I'll leave the rest to your imagination. It doesn't end here. 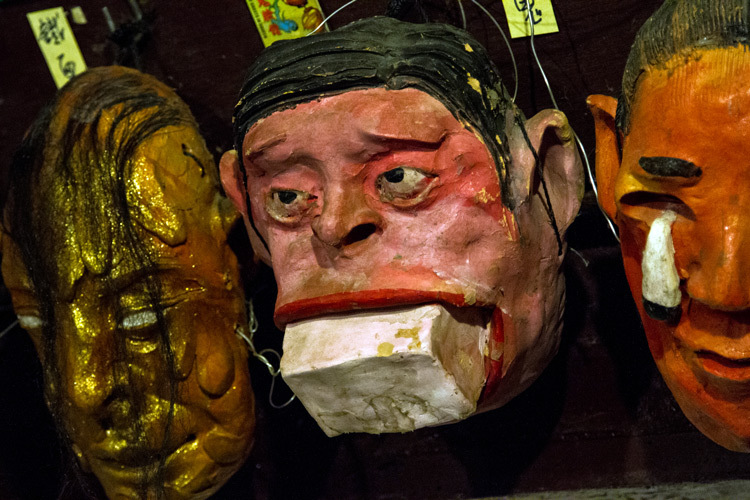 He had three and a half large rooms filled with masks/busts that he had made, usually not of himself. Just about everything looks like something from the mind of a serial killer / psychopath, though the guy himself was super friendly and nice (but aren't they all?). 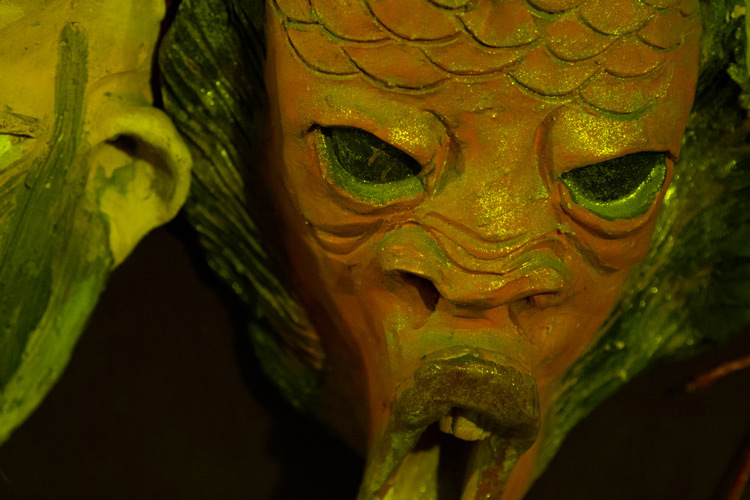 Take a look at some of his other masks. There were too many for me to take pictures of them all and too many pictures to spam up on this post, so suffice to say there were a lot. I can only imagine the time he put into all of this. 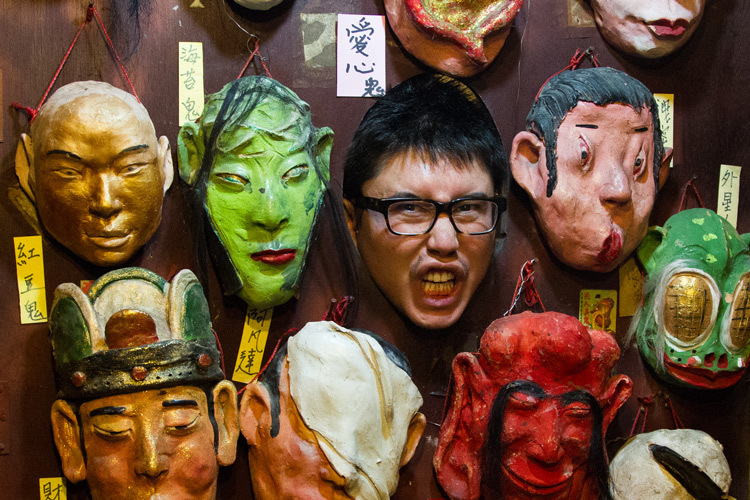 Lots of masks, and lots of sources for possible character inspiration, wouldn't you say? 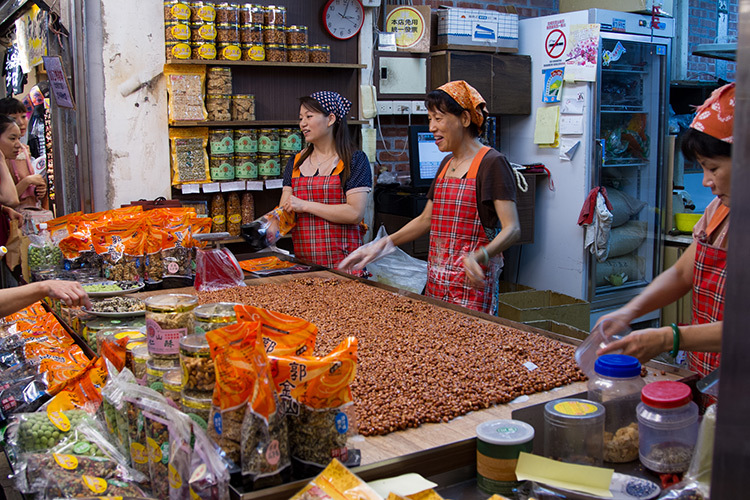 Whatever happened or didn't happen here, though, I can easily conclude that this was my favorite part of Jiufen. I really like this sort of thing for some reason… Maybe Miyazaki stopped by to walk through this exhibit as well? 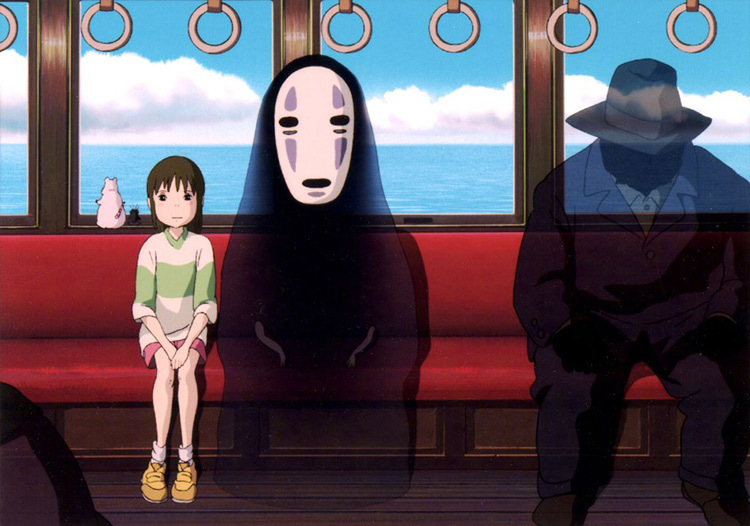 Spirited Away was definitely one of Miyazaki's most unique and interesting films character-wise, I'd say. If he ran across this place, there would have been no shortage of wild inspiration for him to draw from. 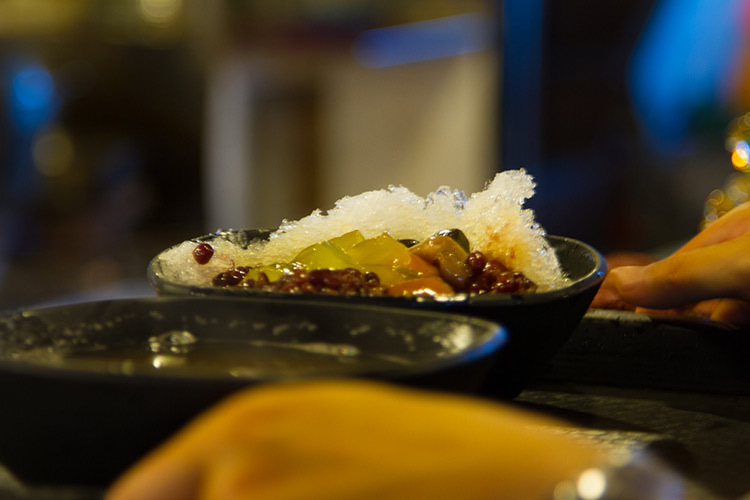 If you want to go to Jiufen, of course you'll want to first make your way to Taiwan. Once there, go to Zhongxiao Fuxing MRT Station in Taipei and leave Exit 1. You should see Bus #1062 near the corner. Get on that bus, and prepare for a fun ride (remember, left side of the bus = "best" / most terrifying view!). If you get the bus driver that we got, you're going to have somewhat of a lead foot on the ol' gas / brake pedal. Oh, and did I mention there are plenty of steep ledges? It will make the food of Jiufen taste all the more better because you'll feel alive (or you'll just be dead from rolling bus syndrome). Besides Jiufen, Taiwan is a great place to visit. It really does feel kind of like Japan in a way. Of course, it's not anywhere near the same and a unique society and culture exists, but there's that sort of background, white noise sort of feeling that Japan is subtly there, somewhere, watching you. There is still something remaining from the occupation years and it makes for an interesting mix of people, food, and culture. Definitely pop down to Taiwan sometime if you get the chance! And lastly, if that wasn't enough, I found this side-by-side picture comparison of Jiufen/Spirited done by Oh What A Day that I thought was quite good. It's hard to not see the similarities when you see it presented this way! Hope you enjoyed this post. 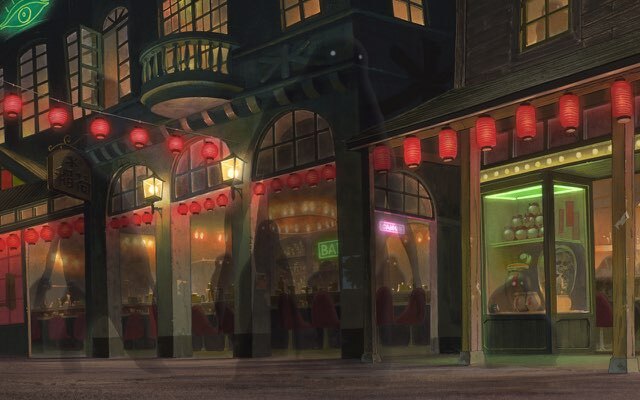 Jiufen and Spirited Away certainly have connections, though I don't know how much is real inspiration and how much is "reading too much into things." Whatever it was, it was a fun trip and I highly recommend it. You can fly from Japan to Taiwan for fairly cheap, so if you have an extra week or so pop down to see what the fuss is all about. 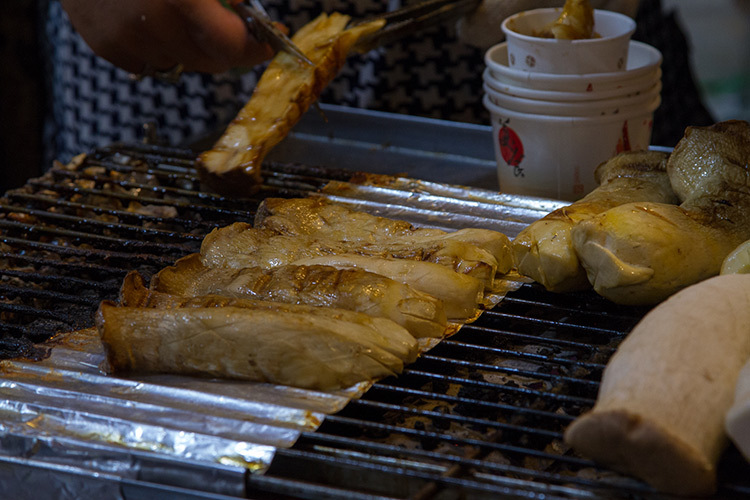 Hit up some night markets while you're at it. 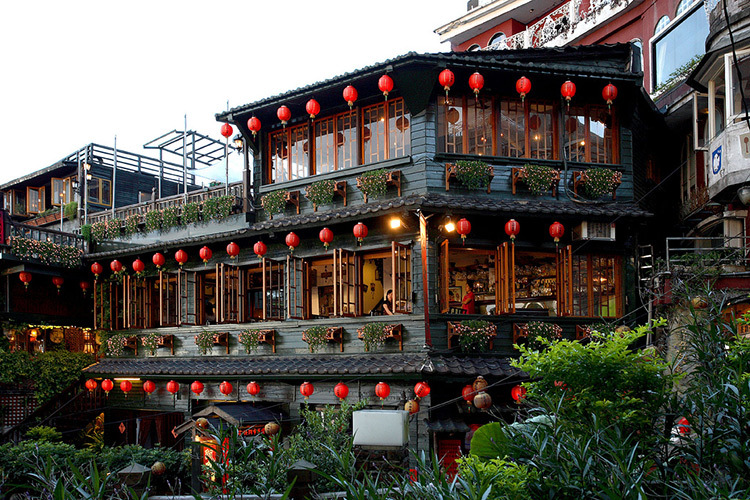 If you’re in Taiwan and you like Spirited Away, this place is a must! Even if you’re not, the food, the views, and the architecture are incredible. Lots of delicious foods and interesting shops. Definitely worth a visit if you are in Taipei for a decent length of time. 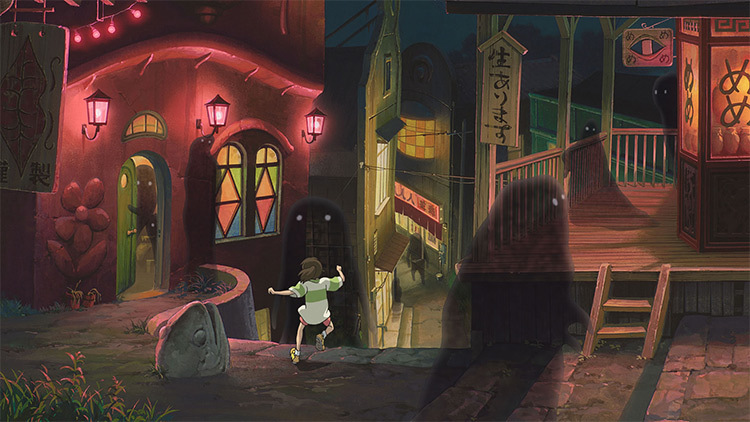 It helps a lot if you've watched Spirited Away... but even if you haven't, this place is full of interesting shops, people, and alleyways. Some of the strongest coffee I've ever had. Pretty sure that's what cocaine is like. A lot of chances for discovery. So much hidden behind bends, walls, and lanterns. You could spend a lot of time here. Not particularly easy to get to. You're going to need a combination of bus and / or train. 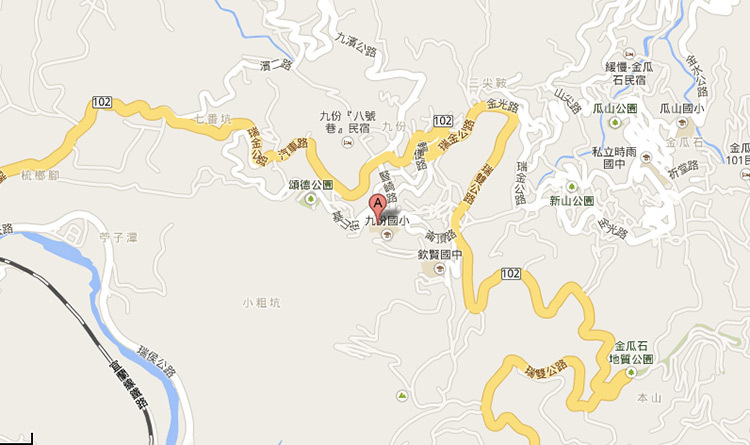 Also, did I mention Jiufen is in Taiwan, and not Japan? Very crowded when I was there. And, by the looks of other people's pictures, very crowded all the time.